I am writing in support of protecting all chimpanzees, both captive and wild, as endangered species under the Endangered Species Act. Failing to protect captive chimpanzees as an endangered species is contributing to their ongoing decline in the wild — globally, the number of wild chimpanzees has fallen by nearly 70 percent in the last 30 years. Allowing captive chimpanzees in the United States to be commercially exploited encourages poaching and black-market trade in Africa, hampers international conservation efforts and creates the public misconception that chimpanzees are common in the wild. The double standard of protecting only wild chimpanzees will continue to cause the species to decline. 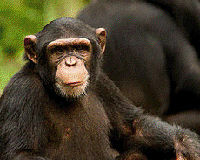 Please protect all chimpanzees as endangered chimpanzees. this post is amazing, great written and come with approximately all significant infos. it. Glance complex to more brought agreeable from you! However, how could we communicate? on web I found this site as a finest web site for newest updates. I am in fact delighted to read this blog posts which includes tons of valuable information, thanks for providing such information. I got this website from my friend who informed me concerning this web page and now this time I am visiting this site and reading very informative articles at this place. Keep up the great work! You know, lots of people are searching round for this information, you could aid them greatly. Its like you read my mind! You seem to know so much approximately this, like you wrote the e book in it or something. i suggest him/her to go to see this web site, Keep up the nice work. Excellent items from you, man. I have understand your stuff previous to and you are simply extremely excellent. experiencing troubles with your RSS. I don’t understand why I can’t subscribe to it. your feed to stay up to date with impending post. Thanks one million and please continue the gratifying work. R8eqRd I truly appreciate this post. I have been looking everywhere for this! Thank God I found it on Google. You ave made my day! Thank you again. bQnbka Thank you for your blog article.Really thank you! Want more. m96mx4 Of course, what a magnificent site and informative posts, I surely will bookmark your blog.All the Best! make certain to don?t fail to remember this website and give it a look on a continuing basis. We prefer to honor a lot of other net web sites on the net, even if they arent linked to us, by linking to them. Under are some webpages worth checking out. Wonderful story, reckoned we could combine a couple of unrelated information, nonetheless seriously worth taking a search, whoa did a single study about Mid East has got far more problerms also.